Male rhinoplasty is similar to female rhinoplasty in most respects. However, though many methods used in male rhinoplasty (suturing techniques, adding or trimming bone or cartilage, making special incisions, and grafting) are also used in women. When conducting male rhinoplasty, these techniques are used to different effect so that the facial plastic surgeon performing the surgery can achieve a more masculine appearance. Facial traits typically considered to be masculine include a strong defined jawline, prominent chin and brow, thick beard and relatively prominent nose. The male nose is usually characterized by a strong dorsum, more projected tip, thicker, heavier skin and stiff cartilage. It is also wider than the average female nose. Ideally, the naso-glabellar region (where the nose meets the forehead) has a masculine curve, and the tip projects more. Facial plastic surgeons keep all of these characteristics in mind when performing male rhinoplasty. Both male and female rhinoplasty are performed with the goal of creating a nose that is beautiful, symmetrical and in harmony with the other features of the face. Generally speaking, most aspects of the procedure are very similar, but with slightly different goals. This is because certain features are considered to be more masculine and others more feminine. For example, the straighter a woman’s nose is, the better it looks. This is not necessarily the case for men, who often look fine with a slight deviation. Also, whereas a convex nose is typically not an attractive trait on the female face, it often looks fine on a man’s face. Osteotomies, or controlled breaks, are used in both male and female rhinoplasty, but they are used differently due to the differing aesthetic goals of the two procedures. In addition, the fact that male skin drapes differently can affect the outcome of the procedure. And finally, the fact that the male face looks better with a more closed angle between the upper lip and the bottom of the nose is something that can distinguish a male rhinoplasty procedure from female rhinoplasty. Male rhinoplasty may involve the use of many surgical techniques. Overall, male rhinoplasty techniques seek to reshape the nose and render it in better proportion to other features of the face. The surgery may require altering internal structures such as the bone, cartilage and turbinates, as well as techniques such as grafting, defatting and special suturing techniques. Typically, male rhinoplasty involves a combination of techniques. As with women, techniques in male rhinoplasty may be employed to address a nose that is crooked, large, asymmetric, or too long. Another common goal of male rhinoplasty is to make the tip less thick or prominent. This will likely involve trimming, flattening or otherwise altering the lower lateral cartilages. The lower lateral cartilages have a big effect on the appearance of the nasal tip. Male rhinoplasty techniques focus on refining this cartilage in order to shape the nasal tip. It also may involve the use of permanent sutures in the dome area. They may be placed above and below the tip itself. As many men visit facial plastic surgeons complaining of a large nasal hump, hump reduction is one of the most common male nose surgery techniques. However, when using this technique the surgeon must be careful not to trim too much cartilage and bone, because a convex shape is important to preserving a masculine-looking nose. The surgeon also must be careful to avoid creating indentations in the sides of the nose, as this can appear too feminine. During male rhinoplasty, the surgeon may also seek to address functional issues such as breathing problems. It can also address problems from previous surgeries, such as over-resection or nasal collapse. 1. How is male rhinoplasty different from female rhinoplasty? Generally speaking, most aspects of male and female rhinoplasty are the same but the procedures have different goals because certain facial and nasal characteristics are considered to be more masculine and others more feminine. For example, men’s noses typically project more and their skin is thicker and heavier. These factors need to be taken into consideration by the surgeon when performing male rhinoplasty. 2. What if my nose becomes too small? This is more of a consideration in male patients because the male nose is typically more prominent than the female nose. However, so long as your surgeon takes this into account it shouldn’t be an issue. Your surgeon should be able create a more aesthetically pleasing nose without making it too small. 3. Will facial plastic surgery make me less masculine? There is no reason it should, but your surgeon must be knowledgeable in male facial plastic surgery techniques and avoid using the same approach used on women. For example, with male rhinoplasty your surgeon should avoid creating a nose that is too small, narrow or upturned at the tip. 4. Do I have to stop taking my supplements/growth hormones? Yes, if you are taking growth hormones and related supplements you will need to stop taking them about two weeks prior to surgery and start retaking them no sooner than two weeks after surgery. 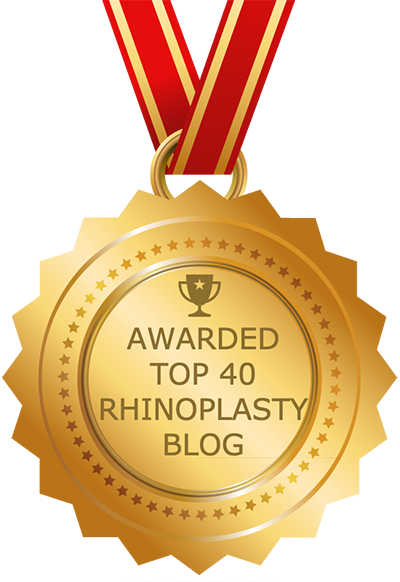 Speak with both your rhinoplasty surgeon and your internist to learn more. 5. What type of nose typically looks good on men? No one nose shape looks attractive on every face. The nose must be aesthetically attractive on its own while complementing the surrounding features of the face. That being said, in general the male nose projects, looks strong, has a straight dorsum and sometimes a slight hump. It is prominent but not too big, twisted, hook-like, etc. The typical masculine nose also is curved in the nasoglabellar region (where the nose meets the forehead. 6. Is male rhinoplasty an one-size-fits-all procedure? On the contrary. Male rhinoplasty is specifically tailored to the unique facial anatomy and aesthetic goals of each individual patient. Depending on these and other considerations, a male rhinoplasty procedure may involve a variety of different techniques, from reducing a nasal hump to reshaping the nose, altering the tip, changing the size and/or taking steps to improve breathing. It all depends on your needs and desires. 7. Are there ethnic considerations? Yes, because what looks good on one face may not on another. Though not all faces of a given ethnic group look the same, there are some common features seen in certain groups; in some cases altering these features will result in an odd or unbalanced appearance. The goal of any rhinoplasty procedure — male or female — is to achieve both beauty and harmony. A nose only looks good if it in harmony with the other features of the face, and this is where ethnicity can come into play. For example, a long, narrow nose looks good on many Caucasian faces but may appear unharmonious on the African American face.